This 42mm Kristoffer features a sandblasted dial with hours marked by numerals and seconds indicated by linear indexes. Subdials at the 12 and 6-o-clock postions track 24-hour time and seconds, respectively. 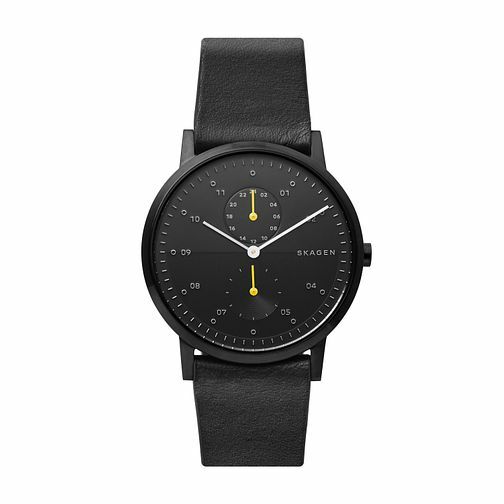 It is finished with a 22mm black leather strap with interchangeable straps available.